Custom Camouflage Monthly Planners Personalized in Bulk. Promotional, Inexpensive. Top quality at the Lowest prices in USA, Canada. PRODUCTION TIME: 5-7 days after art approval; Blank (not personalized) Monthly Planners ship next day. This ROYAL Camouflage Month at a Glance format features 32 pages and shows one month on a two page spread. 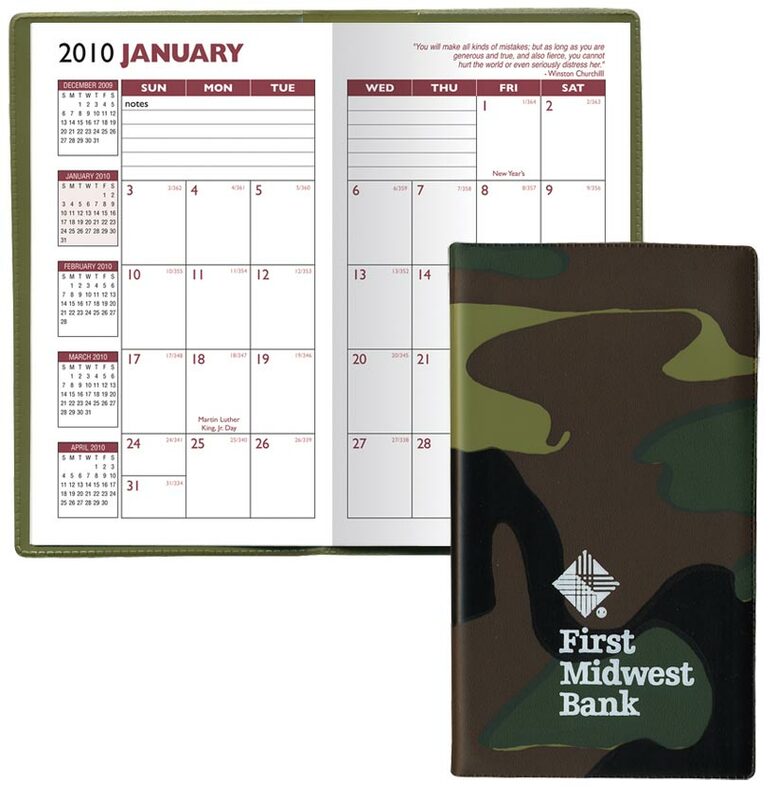 The Planner inside is printed in two colors and runs 14 months, from December through January. Has 2 year reference calendars,a page for personal information and important phone numbers.Metric conversion chart as well as time zone/area code map.